This brand new halloween-inspired Grace Glass Bong is made of high quality borosilicate glass, formed in the shape of a beaker. It has 3D spiderweb printed all over it which also gives you a better grip. It comes with a turbine percolator and ice notches that can cool your smoke and give you the perfect smoking experience. 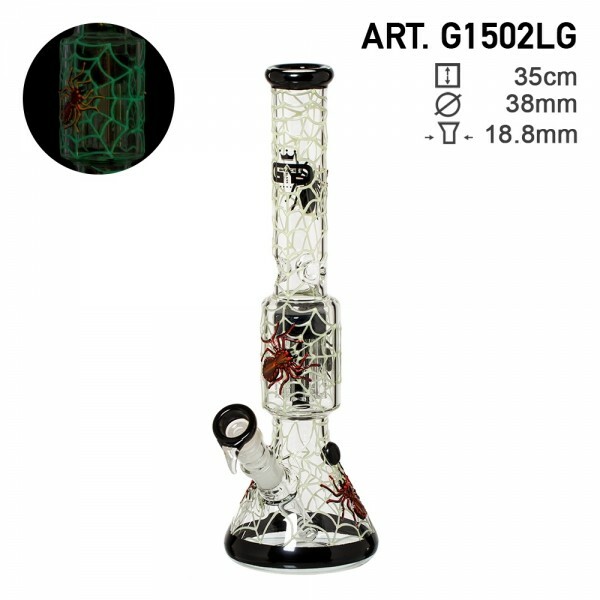 The bong is 35 centimeters of height and the glass itself is 5mm thick.